There's a new trend of using unmanned shipping vessels in the shipping and logistics space, but will the introduction of unmanned ships be smooth sailing? So will the introduction of unmanned ships be smooth sailing? There has been rapid development over the past year in the ‘Remote and Autonomous’ (R&A)/unmanned shipping space, but the big question is, why go crewless? In its 2016 annual overview, the European Maritime Safety Agency found that 62% of the 880 accidents occurring globally (2011-2015) were caused by "human erroneous action". One of the primary advantages of autonomous shipping to ship owners, operators and insurers of ships is the potential to eliminate or at the very least minimize human error. 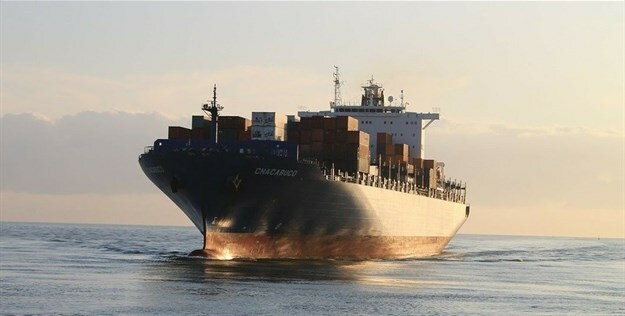 However, this potential reduction of human error must be weighed against the safety of solely relying on computers to operate ships carrying valuable cargo (usually worth more than the ship itself) over significant distances. One of the biggest operational costs for ship operators is the crew wage bill. The operational cost then gets passed onto the customer who utilizes the service. The main benefit in terms of operational savings for shipping companies will be where the saving achieved is substantial as opposed to marginal. Therefore, the cost of investing in the technology must be quickly recoverable through a reduced wage bill. Ultra large container vessels already have a very small crew. In these circumstances, the saving on a crew wage bill may not justify the implementation of R&A shipping technology. In summary, the true benefit an unmanned ship will differ according to different shipping segments, sizes of the ship and the cargo which that ship will carry. Rolls Royce has recently run successful tests of remote-controlled technology on tugboats. One the first remotely controlled commercial vessels in Denmark. The tug (Svitzer Hermod) was operated from a remote-control station location in the Svitzer Denmark office. The Yara Birkeland is an unmanned commercial cargo ship which is scheduled to set sail in 2020 and will be the world’s first fully autonomous cargo ship. Rolls Royce has partnered with Intel in developing an “Intelligent Awareness System” to be installed on autonomous ships. The technology allows an automated decision-making by processing data from lidar, radar, thermal cameras, HD cameras, satellite data and weather forecasts. Data collected by the vessels will be stored using Intel 3D NAND SSDs, acting like a “black box,” securing the information for review once the ship has completed its voyage. The current international law of the sea in terms well-established conventions such as the United Nations Convention on the Law of the Seas and the Safety of Life at Seas Convention provides that a ship must be crewed at all time. So, as matters currently stand, until the regulatory framework, unmanned ships cannot legally operate on the high seas. This does not mean that the International Maritime Organisation (IMO) is ignoring the developments in R&A shipping. In fact, the IMO met this year in order to discuss the amendments required to accommodate unmanned ships. These discussions involved identifying IMO conventions that precluded the operation of unmanned vessels, IMO regulations that would have no application for unmanned ships (for instance conventions that deal with onboard crew) and IMO regulations which do not preclude the operation of unmanned ships but need to be amended to take into account the nuances of unmanned shipping. IMO aims to complete this exercise by 2020, coinciding with the completion of the Yara Birkland. It's clear that a regulatory framework must be established before these unmanned ships are permitted to sail. Where are we going within the next 12 months? The current real value of developments in unmanned shipping lies in integrating various elements of the technology into current shipping operations. A kind of medium between a fully crewed ship and a totally unmanned ship. This would involve the hybrid use of unmanned ship technology, such as artificial intelligence, sensors, detection devices, automatic alert systems, and cameras to improve safety. These mechanisms would act to supplement the tools already available to the ship's officers and reduce human error without eliminating the human element completely, having to address with regulatory issues and exposing the vessel to the risk to unnecessary cyber risks by placing its operations solely at the mercy of a computer. Lana Jacobs is a senior associate at Bowmans and a member of the Shipping and Logistics practice. The autonomous industry is seeing an obvious expansion but are the waters ready to get their fair share now? Even at this advanced era, we are still experiencing uncertainty with autonomous land vehicles like unmanned taxis and trucks. We have even witnessed fatalities involving such vehicles on land. Are we really ready to anticipate a certain percentage of mishaps on the seas now? I reckon that most shipping routes are pretty well-travelled at this point. It seems like it would be a good situation to have automated ships on don't you think? I still think that you would need to have a small amount of crew on board though. There is sure to be exceptions happening out at sea when you least expect it!